You never know how badly you need a makeover until after after you get one. I am pretty low maintenance. I hardly ever get my nails done because I always work with my hands and I hate having to sit in a chair for hours just waiting for hair dye to set. 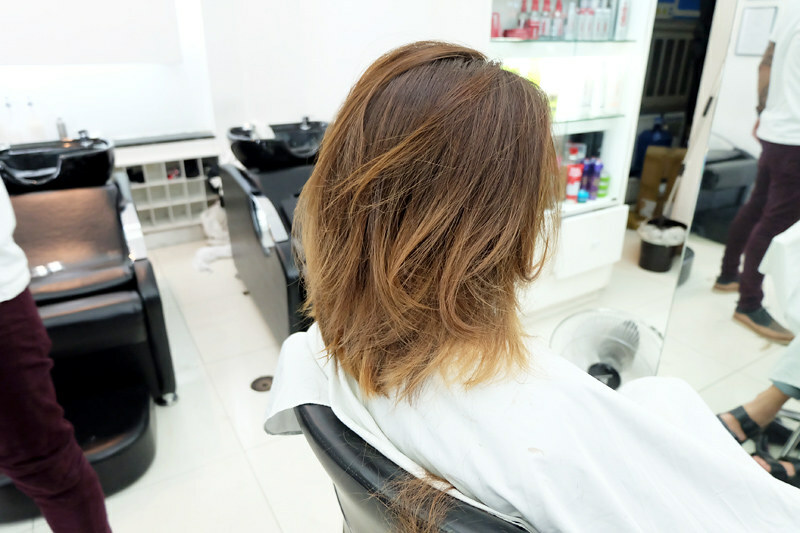 So I hardly visit the salon unless I absolutely HAVE to. That's also why I usually buy boxed dye at the drugstore to touch up my whites...which I have also been too lazy busy to do lately. 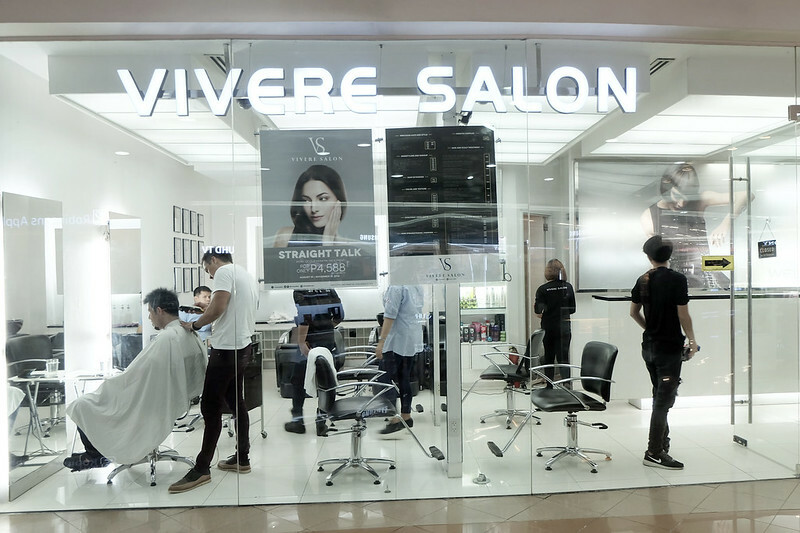 But I had a professional shoot in a couple of days and I wasn't ready at all so I decided to book an appointment for a makeover at Vivere Salon. 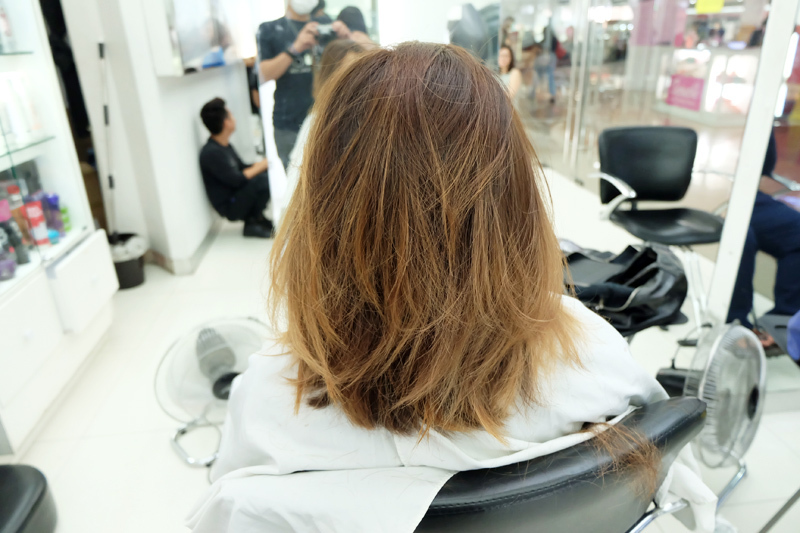 Thank you lord for the emergence of mid range salons! It used to be "parlor" or "designer stylist" for me, which meant a 5 digit fee difference. 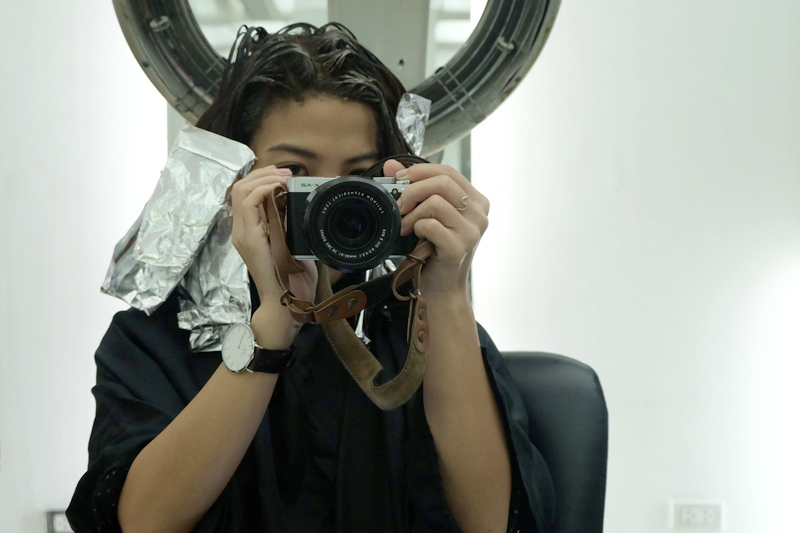 I still LOVE my go-to hairstylist (Hello, Juro) but with the rate my white hair has been appearing lately (every 2 weeks) , it's just too expensive for me already. So I'm really really thankful that I have found a cheaper alternative (by chance actually). 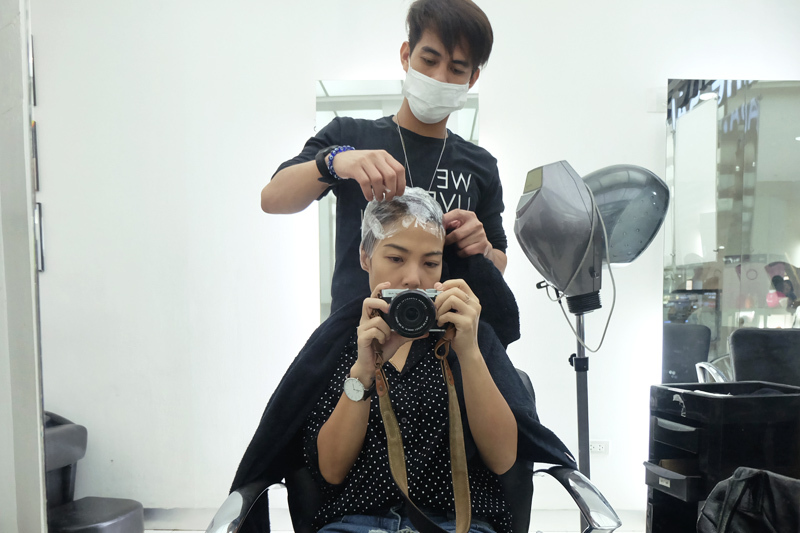 During that visit, it was their senior stylist Marlon who cut my hair - and also ended up coloring it. I was pretty satisfied with the outcome and my bill! So when push came to shove, I decided to book an appointment again - at the last minute. It was Marlon's day-off so another senior stylist: Kenneth, took care of me instead. 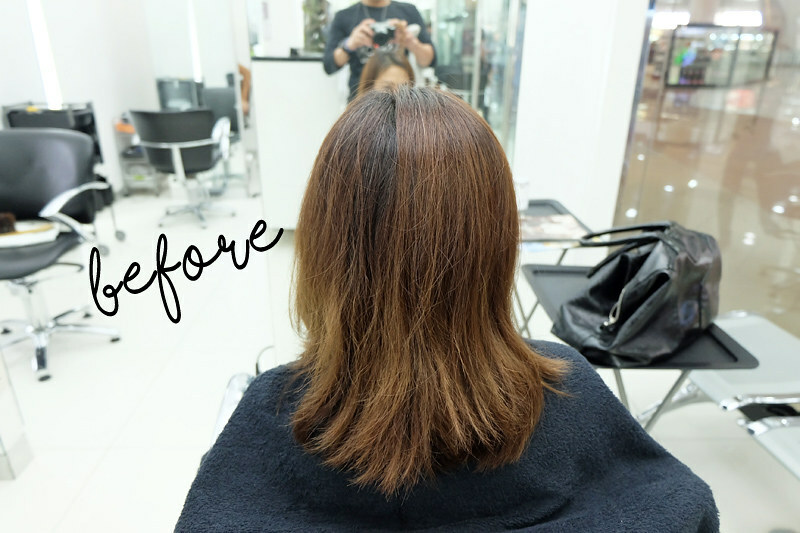 Cut, color, threading and nails! haha - it's my favorite staple. While waiting for my dye to set, I requested for my favorite girls from Nailaholics to give me a maniped. I love the girls at Nailoholics because they're very clean, respectful and thorough. Manicures last extra long and most importantly, I don't get hurt during pedicures! 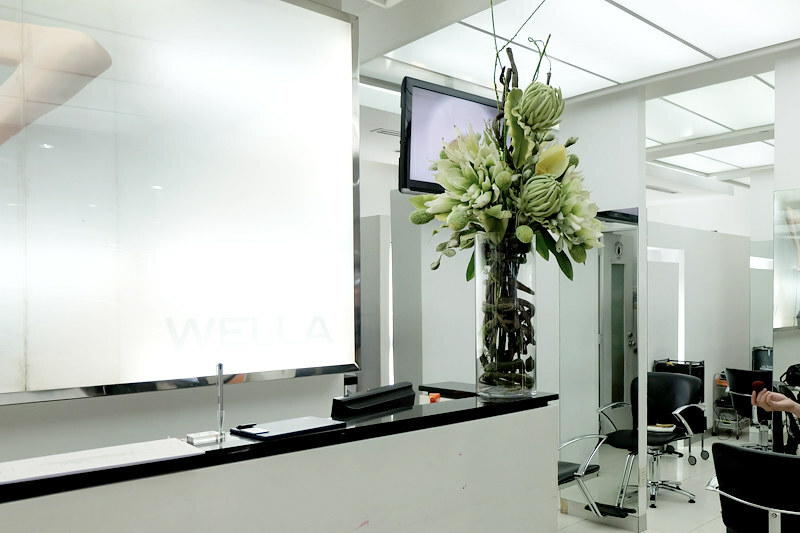 Vivere and Nailaholics belong to the same company so it's okay to request for nail technicians. After about an hour, it was time to rinse out the dye and replace it with a hair treatment. After my treatment, without even leaving the chair, I had my eyebrows and upper lip threaded. 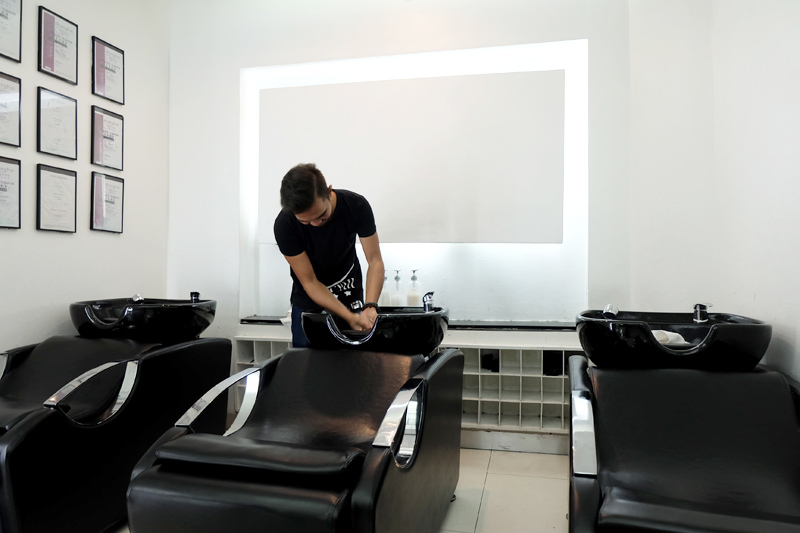 I used to only go to Browhaus for this cause they're extremely good at their job and I find them less painful but I also discovered how amazing this guy (yes guy, sorry I forgot his name cause I accidentally deleted my notes :( ) from Vivere is by chance during another visit. I was super scared at first and kept asking him if he was "light-handed". He reassured me that he was and I was already there so what other choice did I have? Turns out, he really was. And very good at shaping eyebrows too. I love him and it onlys costs me P300 something to get both jobs done. My hair is a bit dry but I do love the color and cut! I might just go back for a Keratin treatment or diy it myself the "all-natural" way. 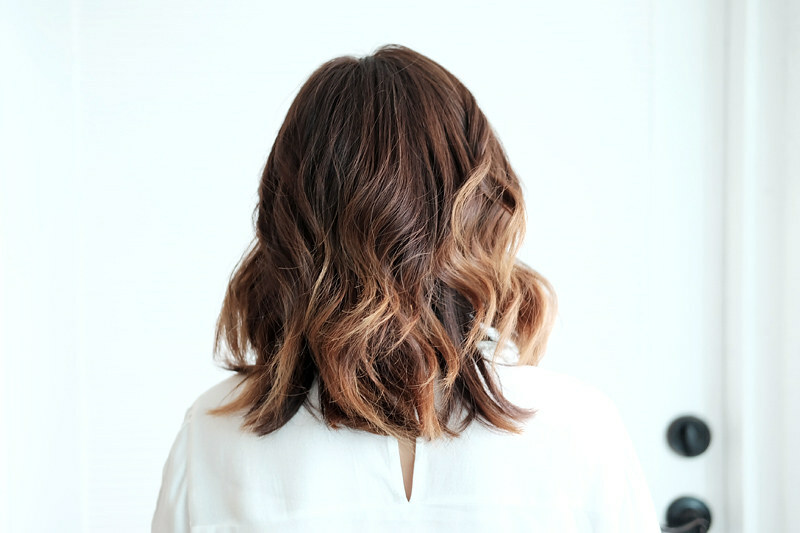 I applied Beach Born's Sunset Spray (coming soon) to protect my hair from heat damage, then I used a curling wand to do random loose curls only at the top section of my hair. I don't do under cause I have A LOT of hair and it ends up looking enormous. Finished by loosening the curls with my fingers and then applying Beach Born Sea Salt Spray for hold, texture and volume - for my roots. Applied Sunset Spray all over for shine. Hair dye starts at P1500, cut at P300.